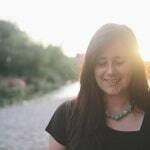 This week is World Autism Awareness Week and for the next few days I’m going to devote some time on the blog to talking about autism and food and my experiences of both. This is Fintan, or Finn for short. Finn is four years old and he loves trains, playing at the park, watching Bing on tv and annoying egg surprise opening videos on You Tube. Finn is also autistic, diagnosed aged three and a half. I’ve mentioned Finn and autism a little bit on my social media over the past year but not so much here on the blog. But with World Autism Awareness Week happening I thought this would be the perfect time to share our experiences of autism and it’s link with food and food issues. Like many four year old’s, Finn is quite a picky eater but over the past year I have come to understand how autism plays a very big role in his food and feeding. Obviously my experiences are with my child only and every child will be different. But if by sharing my experience I can help one other family then I feel it will be worthwhile. I have to come to understand lately the extent to which sensory reactions play a very big part in the foods that Finn will and will not eat. Picky eaters in general, whether they are autistic or not, will have intense sensory reactions to food, based on texture, taste and smell. For many autistic children these sensory reactions are heightened which can lead to complete refusal of certain types of food. Texture doesn’t seem to be a massive issue for Finn. He likes smooth textures such as yogurt but will also eat some foods with a lot of texture like granola. 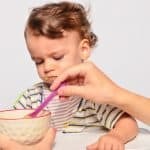 However a lot of children will have quite negative reactions to different textures and identifying these can be half the battle in tackling their food issues. Taste wise Finn likes quite bland food without any strong flavour. For example he loves bread and breadsticks, pancakes, rice, Weetabix and fish fingers. Many autistic children will have the opposite preference and will actively seek out strong, spicy or sour flavours. Another sensory reaction Finn will have to food is temperature. He doesn’t like food to be hot, or even quite warm. He will push away even his favourite meals if they are too warm so we generally leave his food to cool before offering it to him. The feel of food can also cause issues with feeding. I tend to think of this different than texture, as it’s simply in relation to how they react to the feel of food in their hands, as opposed to the texture when they eat it. Finn doesn’t like to get his hands messy and so when he eats finger foods they nearly always have to be dry. By understanding Finn’s basic sensory reactions to food, we have been able to come up with a list of foods that we know he likes and will eat, and also use that knowledge to try to widen his choices. 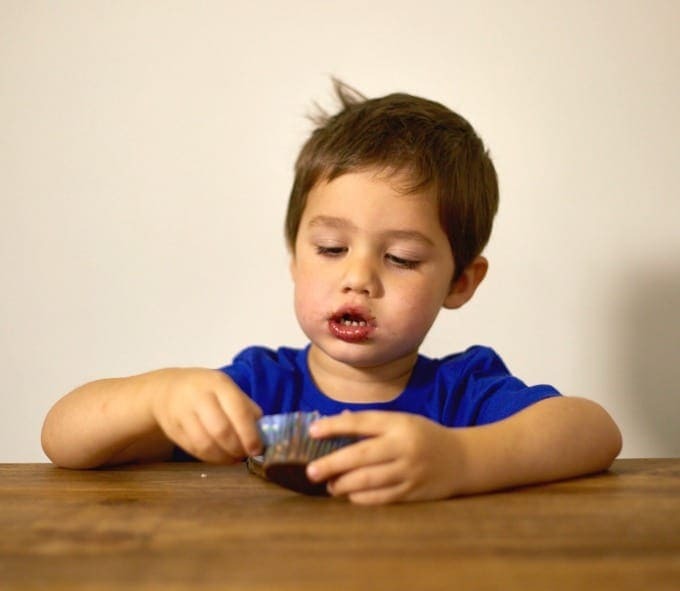 For more advice on sensory sensitivity and picky eating, check out this really informative article by Jo Cormack. Most children, not just those with autism, thrive on routine and predictability. But for children on the spectrum, having a routine around food can be really important in helping them feel at ease at meal times when so many other things in their lives are unpredictable and chaotic. For some children this means eating the same thing for breakfast, lunch or dinner every day. We obviously don’t want to encourage this but we can use this as a starting point to expand the range of foods that they eat. Similarly we need to be careful when it comes to specific brands of foods. I have heard stories of autistic children becoming distraught when the packaging of their favourite foods have changed. This is obviously something completely out of our control as parents and so I try to limit foods where Finn has a strong association with the packaging or branding. 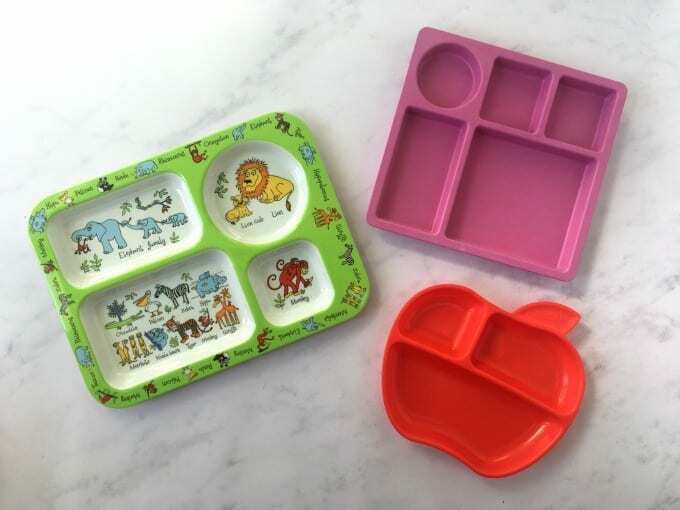 Predictability may also come in the crockery and cutlery that your child uses. Finn loves colourful or character plates. He especially enjoys these divided plates. They are fun and inviting but also separate out his food which I think he finds easier to cope with and makes it simple for me to add some new foods without causing too much stress. I always advocate very small changes when dealing with picky eaters and this is even more important for children with autism. Baby steps are needed when making changes to any area of their lives. If for example your child eats cornflakes for breakfast every day, try adding just a very small portion of fruit in a separate bowl. Leave the bowl beside them but don’t force them to eat it. They may refuse that fruit every day for a week or two but eventually it will become part of their routine and they may pick up a piece and try it. Autistic children will often feel high levels of stress and anxiety in many aspects of their lives but we can try as much as possible to remove this from food and feeding. One way we do this at home is to allow Finn to have a lot of freedom when it comes to mealtimes. We don’t force him to sit at the table. We give him a choice of sitting at the table, on a stool at the island or on the couch in the living room. This goes against advice you will often hear about sitting down as a family to eat, but if we forced Finn to sit somewhere where he was not comfortable, he would not eat. We also allow Finn to watch tv or play on his tablet during mealtimes. Again this is contrary to a lot of advice other people will give but it means that he is relaxed and happy and will therefore eat more. As Finn’s speech and general communication is improving I am also starting to offer him more choice when it comes to his food. This gives him an element of control over what he is eating which in turn reduces his stress at mealtimes. Visuals can work really well for children with limited speech. 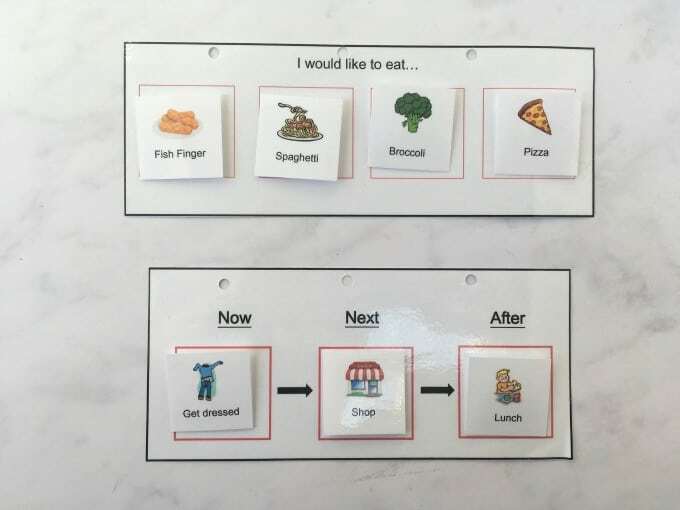 PECS cards and visual timetables can allow a non-verbal children to choose foods and also prepares them for whats to come, which helps with predictability. Autism and it’s related food issues is such a wide area and I feel like I have barely scratched the surface on this topic. I am obviously not a professional and my advice is based solely my own experience with Finn. If you are worried about your child’s eating and nutritional intake then you should of course seek help from your GP, paediatrician or autism health care professional. I also appreciate that it is very much based on your own experience and your own child. So if you have any advice or tips you would like to share, please do leave them in the comments below, it would be great to get a conversation going. « 25 Avocado Recipes for Kids! Hi I’m a mum of two boys aged 4 and 2. My 4 year old was diagnosed with Autism aged 3 and half. My son is 5 years , he was diagnosed with autism since he was 2 years . He is in Therpautic school for the summer too . Please gave me some ideas about t I’m waiting for his appointment with nutritionist. I think that nutrients are very important, cooking with extra virgin coconut oil, using fish oil, and astaxanthin, ll brain foods. Taking glycine as well. Vitamin D supplements seem to increase brain activity as well.